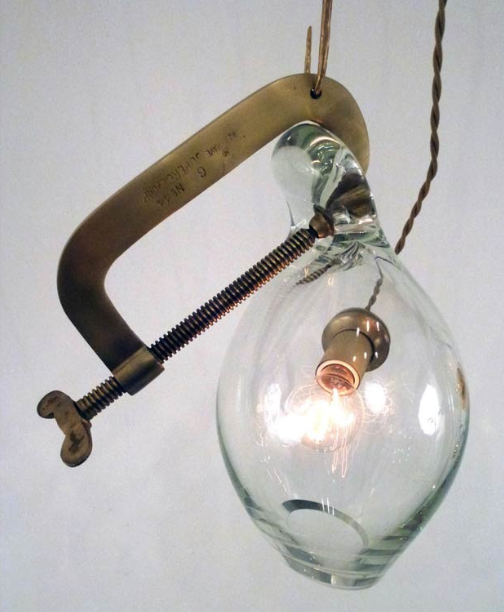 Lindsey Adelman collects vintage industrial clamps from manufacturers all over the US and plates them in brass. Leading glass blower Michiko Sakano blows molten glass into each one and lets the form naturally slump, making each fixture truly unique. The Future Perfect has them.